The Tanjung Priok Terminal management, North Jakarta is going to apply the engineering-exit access at terminal when the Asian Games torch relay group in North Jakarta passes, Thursday (16/8) afternoon.
" In the field, we have 20 officers. 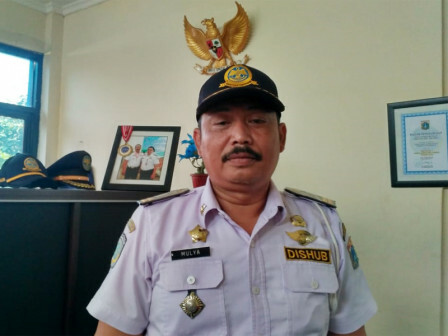 We apologize and understand the people for the inconvenience"
Tanjung Priok Terminal Head, Mulya stated that after being handed over at Kalijodo, the group would pass to the mayor's office via Jalan RE Martadinata and area around the terminal. "The torch handover is scheduled to start at around 3 PM. We will pass in terminal area around 3.30 PM," he stated. He explained that the policy would be applied on Jalan RE Martadinata during the torch relay. Later on, the vehicle coming from Jalan Enggani will be stopped temporarily around 15-30 minutes. "In the field, we have 20 officers. We apologize and understand the people for the inconvenience," he said.